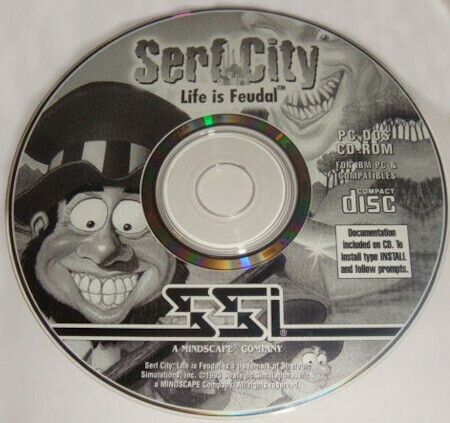 The Settlers, aka Serf City, is a strategy game with cartoony graphics and an innocent line in humor. At the start of the level you choose a starting point, the intention being to get lots of flat land as well as resources to mine and ideally existing sources of trees, stones and water (for fish). Your people are vying for supremacy with up to 3 others. 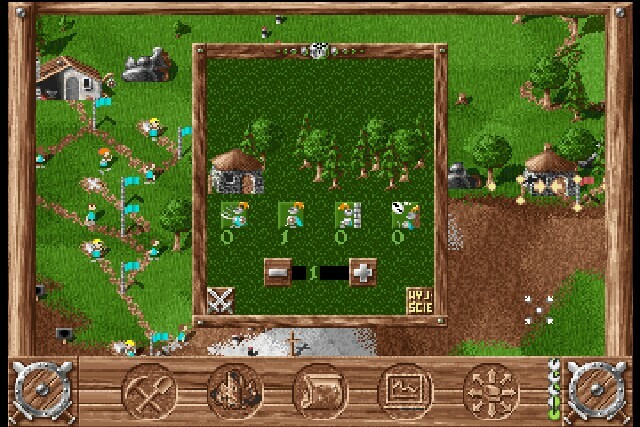 The gameplay focuses on resource management. Each building requires a certain amount of wood (and stones for some of them) to be constructed and requires particular resources to perform its function successfully. Food must be produced (either fish, bread (requiring a windmill, grain-farmer and baker) or pork (requiring a pig-farmer and butcher as well as the grain-farm) to feed the people working in mines to produce the iron, coal and gold (as well as additional stones). Huts and Watch-Towers are built to expand your territory, sometimes at the expense of an enemy's land (clever play involves targeting an area where your opponent has a crucial building, thus compromising his production). To finally win the level, you must defeat your opponents. Combat is fought one-at-a-time by the little soldiers and a victory results in all surrounding buildings being lost. 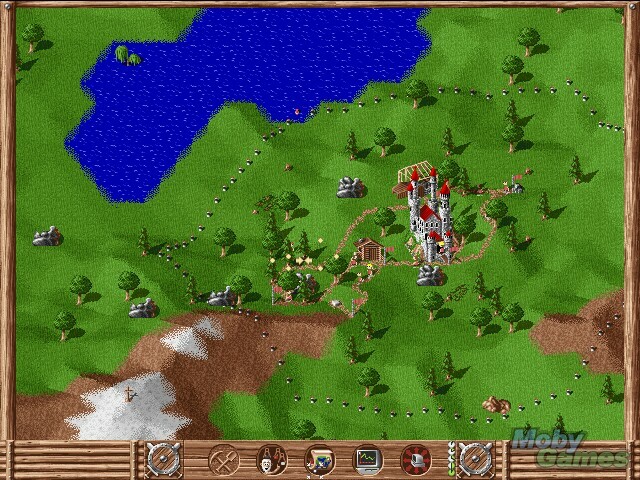 The game features 30 preset missions. 6 tutorials missions will help beginners to learn the game mechanics. The game also offers the possibility to play semi-randomly (based on a 16-number key) generated maps. The map size varies from small maps, for quick matches, to huge maps, for very long matches as the fact that the in-game statistics can be displayed on a 50-hour scale illustrates.